It will focus on the protection of human rights all over the world, including in Crimea and Donbas. 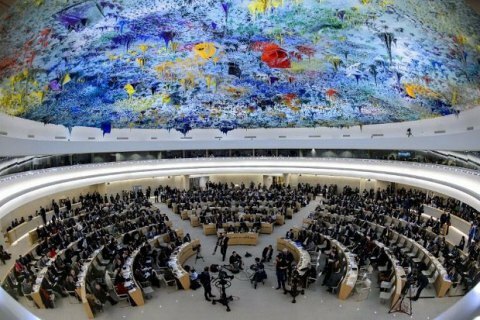 Ukraine has started its three-year membership of the UN Human Rights Council, President Petro Poroshenko has said on Twitter. "Having completed its mission of a non-permanent member of the UN Security Council, Ukraine has started its three-year membership of the UN Human Rights Council," he tweeted. According to Poroshenko, Ukraine will focus on the protection of human rights all over the world, including in Russia-annexed Crimea and in temporarily occupied territories of Donetsk and Luhansk regions. In November 2017, the UN approved 190 recommendations on the human rights situation in Ukraine.